I’ve just returned from my fifth trip to the annual AWP Conference (the Association for Writers and Writing Programs) , and am proud to say that I’ve yet again survived the thrilling ordeal. It’s taken me two days, three loads of laundry, about six servings of pasta, and many hours of sleep to recover and recombobulate after the exhaustion and overstimulation of the chaotic, 12,000-attendee conference, but I am once again walking and talking like a human being. This year’s conference was almost like a homecoming, in a way: I caught up with old friends, signed and swapped books with said friends, reminisced over the silly foibles of my not-so-distance youth in this industry, and looked back at the distance I’ve traveled thus far in my writing career. When I first attended the AWP conference in Chicago five years ago in Chicago, I was fresh out of my MFA program and had no idea what trajectory my career would take. I had only submitted my work to a handful of literary journals, and had only been published in one. 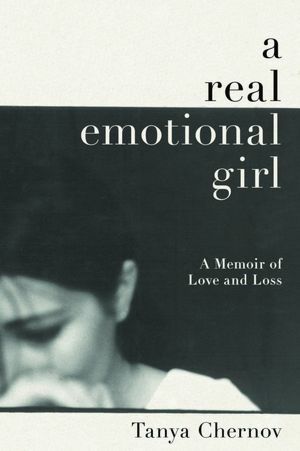 I certainly never dreamed that in a matter of years, I’d be editing one of the industry’s most reputable literary magazines, and would have published my debut memoir, A Real Emotional Girl by a New York-based publisher of substantial prestige (In hardcover! With a photo insert!). I can so vividly recall wandering the aisles of the bookfair that year, all wide-eyed and slack-jawed, collecting every piece of swag and submission guideline with trembling hands, hoping to make a good impression on people who I know now would never even remember meeting me. This year, I was the one on the other side of the table, handing out the swag and authoritatively answering questions, gladly shaking those trembling hands and offering guidance to those wide-eyed hopefuls fresh off the heels of their MFA programs. There’s still so much I want to accomplish, and—knowing how much work I’ve had to do in order to reach the place I find myself standing at now—certainly a great deal of work to be done in the years to come. Still, I can’t help but look back at these past five years, marked by the AWP conferences that punctuate each spring season, and feel awfully proud of all that I’ve managed to achieve. Mama, I think this little writer is all grown up.